The book is about the people who get stressed due to financial problems, and besides the book covers all the general problems due to financial stress. Author is a freelance Journalist, and quite concerned about the people who mess their lives due to financial problems, she is a social activist, and working towards global warming cause. 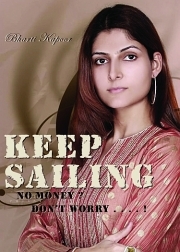 This is a good book for those who has incurred financial losses during recent meltdown.